The first time I experienced AMRAP training was in my Kenpo karate class about 15 years ago. The workout was extremely tough, all bodyweight (of course) and delivered amazing conditioning and physique results. I still remember my Kenpo instructor telling me that the workouts we went through were “child’s place” compared to his AMRAP workouts. He mentioned that they would last about an hour long and many of the students would have to visit “The Bucket” a few times during training. They would throw up in “The Bucket” and then get back to the workout. Now, AMRAP workouts don’t need to be so intense you physically vomit. In fact, you can get fantastic results in a short period of time. In this article you’ll learn everything you need to know about AMRAP workouts and why they are so great for helping you achieve almost all of your fitness goals. What is an AMRAP workout? AMRAP workouts are a form of High Intensity Interval Training (HIIT). The AMRAP acronym stands for As Many Reps/Rounds As Possible. Select one or more exercises for your workout. If you chose more than one, create a small circuit with fixed order and number of reps per exercise. Set a fixed amount of time. Preferably using a stopwatch. Perform As Many Reps/Rounds As Possible in this time period. Good form is, of course, essential. Rest as needed during the workout. Why Should You Train With AMRAP? We all lead busy lives. I once heard this quote “I wanted to figure out why I was so busy, but I didn’t have time to do it.” LOL! The time commitment for AMRAP is very small and you can easily manipulate it based on how much time you have available. Of course, the amount of time the workout consists of is going to influence what qualities you are able to target. You can’t expect to have lots of maximal strength gains with a workout of 5 minutes or less. Also, the fixed time commitment allows for better scheduling. HIIT workouts are, in general, great for fat loss, however AMRAP workouts are even better. If you are training with AMRAP properly, you are pushing your body to its limits and as a result you will have to use every energy resource available. In typical workouts schemes, muscular endurance and cardiovascular endurance are targeted separately. So, if you wanted to increase both of these qualities you would have to perform two different workouts. For example, if you wanted to increase your number of consecutive push ups and your cardiovascular endurance as well, you would have to perform a high rep workout and then a cardio workout. With AMRAP you can target both qualities at once and as a result you can save even more time. One of the things that saddens me the most, is when I see people start taking actions towards their goal only to give up when they reach hardships. It really gets me… Only if I could reach out to these people and help them understand that you can develop your mental strength. But what does all of this has to do with AMRAP? Well.. If you are training with AMRAP the way it is supposed to, then you are going to need a lot of mental toughness to get through the workouts. This is going to help you develop an unstoppable mentality, which is going to help you in all areas of your life. If you have been training with bodyweight exercises long enough, then you know that tracking your progress isn’t always very easy. However, with AMRAP training it’s pretty obvious. Even, if you are able to do one more rep in a fixed amount of time, then you have made progress. How Is AMRAP Different From Circuit Training? Ok, AMRAP is very beneficial. I used to have the same question. In fact, from the first time I trained with AMRAP at my karate dojo, I noticed that AMRAP was different than regular circuit training. It was a different kind of challenge, but I just couldn’t quite put it into words, cause both of them looked so similar. Now, that I have more experience under my belt, I can clearly distinguish these training modalities from one another. To begin with, the only reason they look so similar is because both of these training methods belong to the broader HIIT training category. A regular circuit workout is going to have a fixed time of reps and sets to be performed during the workouts. An AMRAP workout has, instead of the above, a fixed time frame. In the case that you are training for as many rounds, you can have the amount of reps/round fixed as well. 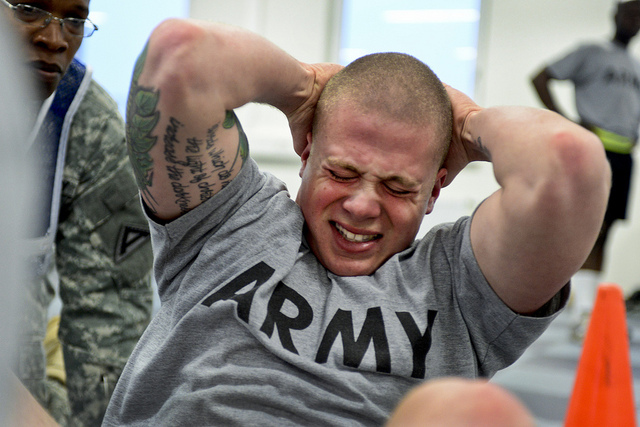 Also, regular circuit workouts have a standard break time, while in AMRAP workouts you are going to rest as necessary. In circuit workouts, you have to choose two or more exercises for each round. Otherwise, it’s not a circuit. With AMRAP training, you can choose to focus only in one exercise if you want to, thus making it more adaptable to your goals. For example, with AMRAP workouts you can achieve calisthenics skills (as you are going to see later in this post), while with regular circuit training it’s not ideal. But… Which One Is Better? Both of these training methods are great. They are just different. I consider that AMRAP is only for intermediate athletes and beyond while circuit training can be applied to all levels. As I said above, AMRAP workouts can be more adaptable and target different qualities while circuit training is mostly going to help you with muscular and cardiovascular endurance and agility. If you like both of these training modalities you can easily combine them. The most famous circuit-AMRAP combination are the Tabata circuits. Similarly, you can create your own circuits were instead of reps/round you are going for AMRAP. If you have been training for a while, then you have probably trained with an AFAP circuit without knowing it by name. AFAP stands for As Fast As Possible. A well-known AFAP workout is the burpee challenge, in which you have to perform 100 burpees as fast as possible. The basic difference is that in AMRAP you know the time whereas in AFAP you know the reps.
As you can probably see, AFAP training is more well-suited for conditioning purposes while AMRAP can be modified for work capacity and strength gains. Furthermore, in AFAP workouts the goal is to break your previous time record while the goal in AMRAP is to break your previous rep record. From time to time, I like to alternate between these 3 methods (AMRAP, AFAP and CT) to spice up my training. Lastly, if you think you are tough enough, you can try out The Interval Challenge. 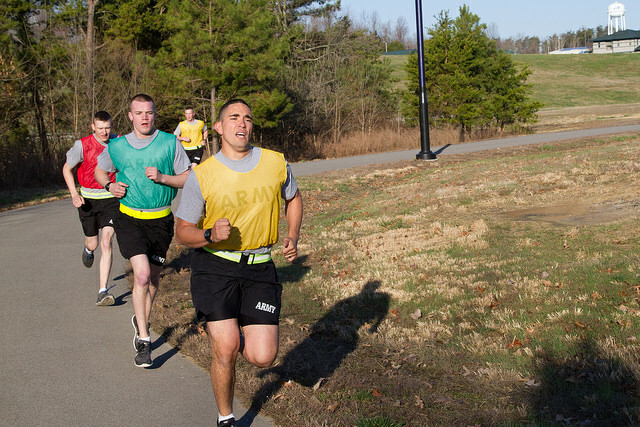 Your warm up is largely going to depend on what you are going to perform during the AMRAP workout. If you are going to train for endurance, you should do some light and fast pacing work to get your heart rate up. One of the best options is the jump rope. If you are going to train for a calisthenic skill, do a few sets of 2-3 reps and gradually progress towards the movement you want to train. For example, if you are going to perform AMRAP one arm push ups, you can do 2-3 regular push ups, then with little to no rest 2-3 diamond push ups and then 2-3 per side archer push ups. Lastly, you should always do some mobility work for 2-3 minutes before the above warm up options. Fortunately, whatever type of AMRAP workout you choose to focus on, you are going to lose fat. However, if you want to lose fat faster, the conditioning type workouts are the best choice. Ahh… Conditioning…. Other than athletes, very few people seem to be interested in this nowadays. Most people are interested only in their external experience and just want to build muscle. Not that there is something wrong with that, but I find conditioning training very enjoyable and I believe that if you don’t have any conditioning work in your training, you are missing out. If you have goals like 100 consecutive push ups, 100 consecutive burpees or you want great cardiovascular endurance, then short AMRAP workouts is one of the fastest ways to achieve your goals. The ultimate way to use the AMRAP protocol for conditioning is with Tabata circuits. Other than this, there are two ways to use AMRAP for conditioning. You can create circuits that include AMRAP rounds similar to Tabata. The second way is to create circuits with a fixed amount of reps and try to perform AMRAP in 10 minutes or less. Or any exercise with which you can perform 20 reps or more with good form. If you can perform 100 reps of a certain move under 10 minutes, then I would recommend you to choose a more difficult variation of that movement. Light exercises, like jumping jacks, can be part of your circuits too. However, such exercises should be there as a “bonus” and not as the main thing. In the beginning, perform only the first two Tabata circuits. As your work capacity increases, start to perform gradually some Tabata rounds of burpees. If you can’t perform more than 30 burpees in 20 minutes, you should train with an easier variation, like squat thrusts. You don’t have to train with fixed number of reps per round. For example, in the beginning you can do sets of 10 reps and towards the end sets of 5 reps.
Do not go to failure within a round, so that you can recover faster. With some experience you will be able to find the sweet spot. If you can’t perform more than 10 pull ups, 20 push ups or 50 squats, you should perform the easier variations of the respective exercise. The reps don’t have to be consecutive during the workout. However, the exercise order must stay fixed and you can move to the next exercise only after you have completed the necessary reps of the previous one. If you are a SOA community veteran (i.e. 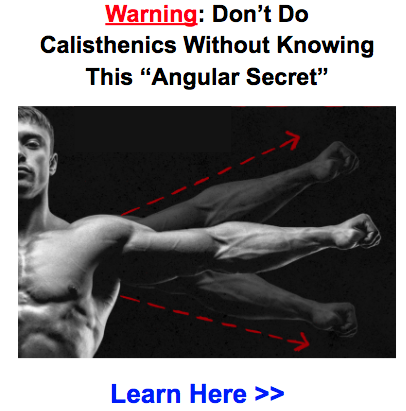 you have been following SOA for more than a year), then you already know that building muscle with calisthenics is totally achievable. You just have to implement muscle building principles with bodyweight exercises. That’s exactly what you’ll have to do, if you want to gain muscle with AMRAP-type workouts. One of the most important muscle building principles, to be implemented, is volume (aka time under tension). For this principle to work you have to get lots of volume with an exercise that is neither too hard nor too easy. A move that you can perform 8-12 reps is good for this purpose. If you are interested in targeting particular muscle groups with bodyweight exercises, then make sure to check out this post. You are going to focus on one exercise per AMRAP workout. When you reach the point where you are able to complete 70 reps in 15 minutes with a certain exercise, then you are ready to move to a harder variation. You should be able to perform 30 reps or more in 15 minutes with the harder variation. If not, you have increased the difficulty too much. Choose two exercises that you can perform 8-12 reps. One for pulling/pushing and one for your legs. During the AMRAP try to do set of 4 reps or more. You should alternate between pushing and pulling exercises and between quad and hamstring dominant exercises. 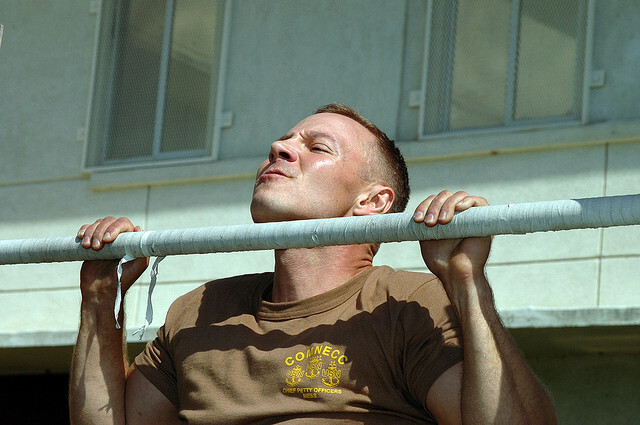 For example, if you have trained with pull ups and pistols, next time train with handstand push ups and hip bridges. This workout is going to be a modification of the above workout. In case you don’t have 41 minutes of uninterrupted time, you can break the workout into two parts that you can do in different times during the day or in a different day. I used to be very reluctant about building strength and achieving calisthenics feats with AMRAP training. Is it really possible to become strong by training 20 minutes per day? It kinda sounded like a new Internet fad. Eventually, I decided to test it out myself. And miraculously enough, it worked! If you wanted to achieve calisthenics skills by training with regular workouts, your workouts would consist of low reps (3-5) , lots of sets (3-6 or more) and large breaks (3-5 minutes). For the skill-focused AMRAP workouts, you are still going to use the low rep principle during the workouts. To allow bigger breaks between sets, the fixed time is going to be 20 minutes. During the session, you are going to perform sets of 2-5 reps.
You should choose a progression that you can perform 5 reps with good form. Test yourself and see if you can do 20 reps or more in 20 minutes. If not, then train with an easier variation. You are going to focus on one skill per AMRAP workout. The goal is to be able to perform 50 reps in 20 minutes. When you are able to do that with a certain exercise, you should move to a harder progression. If you aren’t able to complete 20 reps in 20 minutes with the new progression, then you have made a “big jump” and you should decrease the difficulty. Of course, this type of training is not “pure” strength training, but rather a hybrid approach that focuses a little on endurance and hypertrophy too. As a result, some movements may take a little more time to accomplish, but you will develop a more well-rounded physique. When training for calisthenics skills, you should focus on one exercise per day. The 4th weeks is going to be a deload week, like in regular strength training. There are two ways to surpass this problem. If you get, for example, stack in 40 reps, you can drop the intensity and try to increase the reps in the easier progression or increase the intensity and try to hit 30 reps.
Then go back to the original variation and work again towards 50 reps. Furthermore, the cause of your strength plateau may be based on your lifestyle, so make sure that you are recovering properly. Lastly, make sure that you are progressing properly and that you are not doing very “big jumps” in your progressions. That may as well be the reason your progress has stalled. As you can see AMRAP is a really versatile training method. There are very few training methodologies that can be modified to help you achieve any fitness goal you might have and have so many benefits. I suggest that you start using AMRAP workouts regularly in your workouts and see for yourself just how awesome this training method is. That was it! I hope you enjoyed this article. How are you going to use this? I would love to hear your thoughts in the comment section below! This is one of the most complete posts I’ve read to date on AMRAP most importantly furnishing the ‘why’. Thank you for an excellent read. I’ll bookmark this page to refer back to it. That’s awesome Ben! Glad you enjoyed it! Awesome, that’s a lot of detail. I have only been coming here for a couple of months or so, but am now really dedicating myself to bodyweight training, particularly since I end up traveling a lot of the time. Welcome to the world of BW Training Vince! Keep us posted brotha! This newsletter shows depth and thorough research. 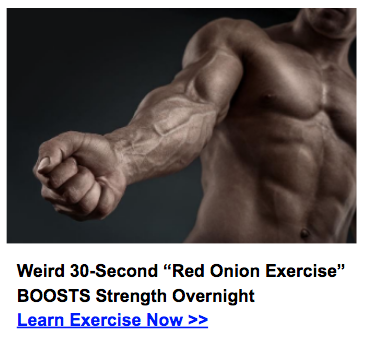 I have never known the extent of the disparity between both training methodology, but this settles it. Thanks for sharing and for keeping things fresh. Isn’t AMRAP == Training to failure, basically? Is that a good thing? Awesome website with lots of great info. I love the short workouts with just bodyweight, very efficient and cheap. Keep up the great work! Thank you so much for this post. I didn’t find any good and such complete one about AMRAP in german Language. Now I can’t wait to start my workout. The only thing: How would look a week of conditioning or muscle build training with AMRAP? How often should I train per week? How many Days of active Rest? Is it able to combine the conditioning and the muscle build workout? Thank you for your great work and sharing your knowledge.